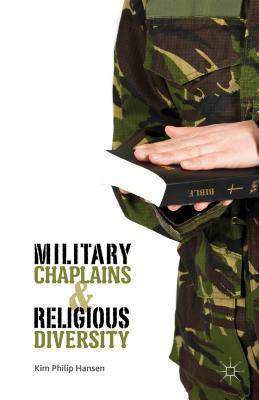 In late February, Religioscope interviewed Kim Philip Hansen, author of the new book ‘Military Chaplains and Religious Diversity‘ (Palgrave MacMillan). In this interview, Hansen, assistant professor of sociology at Mount St. Mary University in Maryland, discusses the changing roles and challenges facing chaplains in the American military. Religioscope – You write about how there has been significant change in how the military recognizes the importance of religion since 9/11. Could you explain this, especially about what role the military now sees chaplains playing? Hansen – Since 9/11 and with the changing nature of warfare, the expectations of the chaplain have also changed. New roles are being discussed, proposed and debated. Religioscope – You mention cross-cultural work and how that is often contested. Hansen – Absolutely. When you’re occupying other countries and trying to win “hearts and minds,” chaplains seem like good candidates for building bridges across cultures. Not all chaplains are comfortable with that. There are cases that might challenge their non-combat status. It can be hard to separate building bridges and gathering intelligence, for example. Another issue in Muslim countries is that ordinary Muslim villagers may interpret the role of chaplains in a way similar to that of a mullah. They may think that the chaplain can deliver more than they really can; they don’t realize that chaplains don’t have that kind of authority. So there’s a danger of chaplains being misperceived. Religioscope – Throughout the book, you find that chaplains are caught between commitment to their own faiths and respecting religious diversity. You seem to think that the concern for religious pluralism is dominant in the military. Hansen – From the military’s point of view, they want to provide religious coverage for as many different faith groups as possible …They would prefer a ship or base to have a Protestant and a Catholic chaplain rather than a Protestant and a Protestant, because that increases the range of religious needs they can accommodate. This means that the military has a logical preference for those who are flexible-ecumenical chaplains can in principle cover more religious needs than non-ecumenical ones. Religioscope – You interviewed 34 active duty military chaplains; how difficult was it to access to these chaplains? Hansen – It was incredibly easy, partly because they can’t always talk about some of these issues among themselves so they enjoyed talking to me. Only three chaplains turned me down. Early on, a high-ranking chaplain I cold-called talked with me about the project and then cleared the way for me to interview others in his command. It snowballed from there. Religioscope – How representative are these chaplains you interviewed of the military chaplaincy as a whole? Hansen – It was not intended as a representative sample in the positivist sense, since I was conducting qualitative research. I was basically trying to illustrate the kinds of people who are chaplains and the kinds of issues they confront and are concerned with. But I think I got a good cross-section of the chaplaincy-low ranking, high ranking, 20 different denominations, men, and women, different races and ethnicities. I over-sampled minority chaplains, since groups like Mormons, Muslims and Jews might have been missed in a more scientific sample. Religioscope – You portray these chaplains as accepting the collaborative and cooperative nature of the chaplaincy. But also there is also a concern with compromising their faiths; you mention the Missouri Synod Lutheran chaplains in that regard. Which tendency is the strongest? Hansen – It depends on the faith group. Some see cooperation as completely non-problematic others are less open. There are chaplains that will bend the rules for the sake of the enlisted, since their endorsing agency [denomination] is far away or hands-off. Others take their denomination’s requirements and restrictions very seriously-especially in relation to [interdenominational] prayer, communion, weddings and other ceremonial issues… Chaplains negotiate among themselves on how to deal with contradictions there. I mean, we have religious freedom, but what does religious freedom mean on an aircraft carrier? That’s what the chaplains try to sort out among themselves. Religioscope – Your book notes that some minority religions, such as Islam, have greater acceptance among the chaplains than others, such as Wicca. Why is that? Hansen – In the case of Islam, there are three drivers of that development: Islam resembles Christianity more-it’s more respectable and familiar when seen through Christian lenses. The needs of Muslims are also easier to anticipate. The chaplains have got used to taking care of Muslims, and there are Muslim military chaplains with whom they can consult. There is also political incentive to show that the United States is not at war with Islam; so there may be propaganda reasons. Wiccans, by comparison, are seen as weird or difficult. Chaplains don’t know what they’re about; you never quite know what a Wiccan is going to ask of you. There is also no geopolitical advantage in being nice to them. Religioscope – Critics have charged that evangelicals are trying to actively “Christianize” the military through proselytism and other activities. How on target is that view? Hansen – Some evangelicals definitely do that. There have been clusters, such as at the Air Force Academy, where that is the case. But you can’t generalize… I interviewed a lot of evangelicals that perfectly recognize that they have to exercise self-restraint in proselytizing. As for “Christianizing”, the military has always been and still is largely Christian; those who state a religious preference are overwhelmingly Christian. Religioscope – You discuss the trend of a “culture war” developing between evangelical and mainline Protestant and Catholic chaplains, especially over the issue that the latter groups are perceived as being more likely to be deployed and promoted in the chaplaincy. Hansen – I think this may be partly because of a mismatch between evangelical theology and evangelical political reality. In their theology evangelicals see themselves in tension with the world, and as an embattled minority. But in American politics evangelicals are very powerful; numerous and well-organized. So they tend to look for signs of persecution and oppression against themselves in order to validate their theological worldview. As for an imbalance in key assignments and promotions, evangelicals allege that this is the case; I don’t think it’s been definitely proven. Some say mainline Protestants and Catholics are better at operating in large institutions, because they come from highly bureaucratic denominations. There is also the trend that if you belong to a church that is ecumenical, it may be easier to get promoted. If you play nice with other chaplains it is easier to get good performance evaluations than if your church is always warning you not to sell out or water things down. Religioscope – Do you think that these kinds of conflicts will grow with the recent decisions to reverse the policy of “don’t ask, don’t tell” regarding gays in the military, as well as the recent ruling that authorizes women to engage in combat? Hansen – I think a lot of these conflicts are not taking place among chaplains as much as about chaplains. Because chaplains are officers they can’t discuss policy or freely voice political opinions. I think a lot of commentators are presuming to speak on their behalf, with varying degrees of legitimacy. Most chaplains are surprisingly non-divisive. The point about women in combat and non-combat roles, these roles have been expanding for decades. About “Don’t ask, don’t tell,” many chaplains were upset with President Clinton for instituting that policy in the first place; lifting that policy now will cause a stir for a couple of years. But you have to remember that chaplains are put in situations where they have to work with each other and depend on each other-they have bigger concerns, especially with the high operational tempo of wartime. They are aware of the debates about the chaplaincy, but they have more urgent work to do. They bracket theological and political discussion in their interactions. They are a very pragmatic group of people. That pragmatism is part of the military culture they work in.